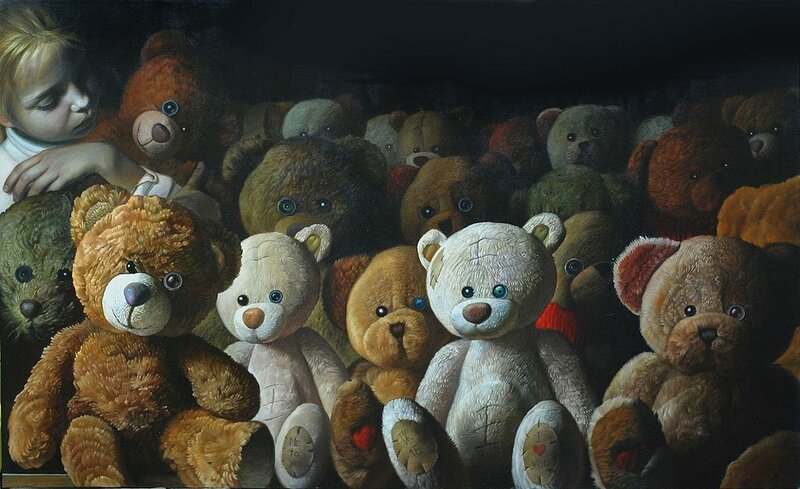 At the heart of the artistic expression of Korshunov there is the form of the image of the interpenetration of the worlds of children and adults. 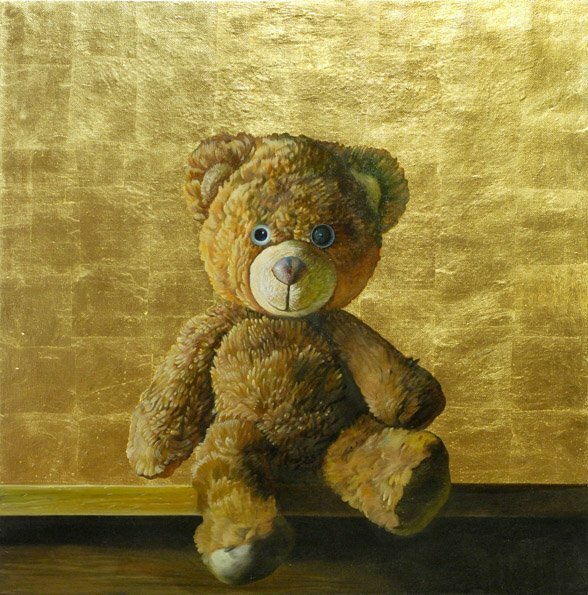 The favorite teddy bear (the painting «Teddy») has two different eyes, as in a video camera is inserted into the eyepiece, observe the baby. 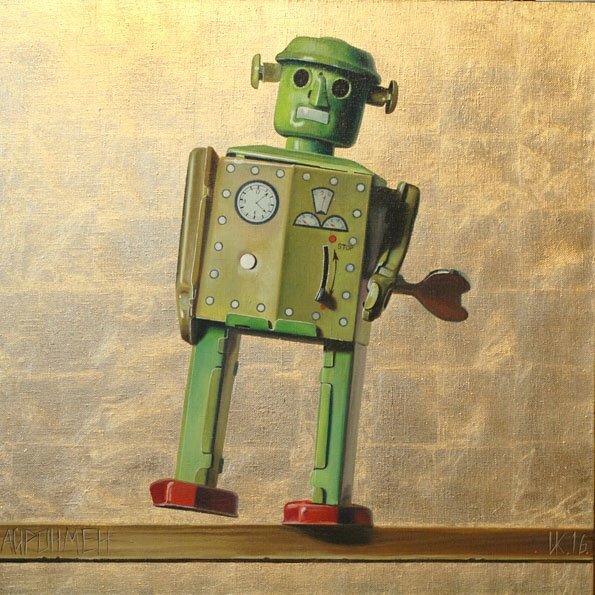 The innocent, cute toy from Korshunov becomes a symbol of the total control of the adult world, in which already lives the child. 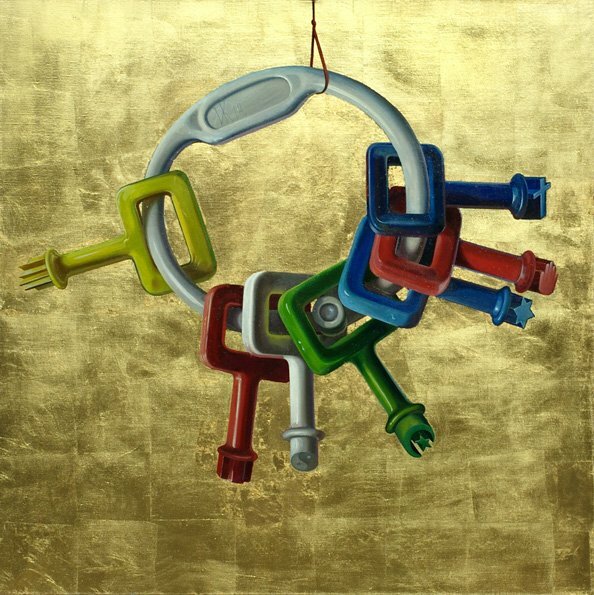 A bunch of colored plastic key («Keys») - is not just a toy for the little ones, it is a way of children's consciousness programming. There are many signs of various religious denominations on the keys. Usually a family or cultural environment defines surrounding the child, which way will he choose. 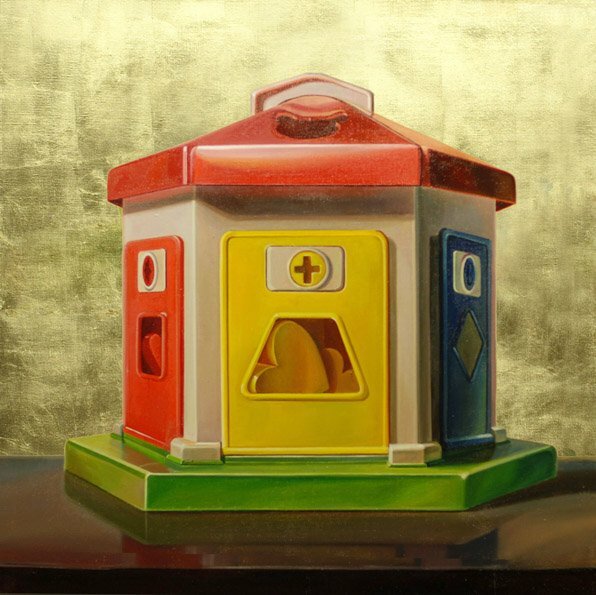 The toy house with many doors («Dom») carries a search image of life's journey, which begins in childhood. You need to pick up each door with your key. 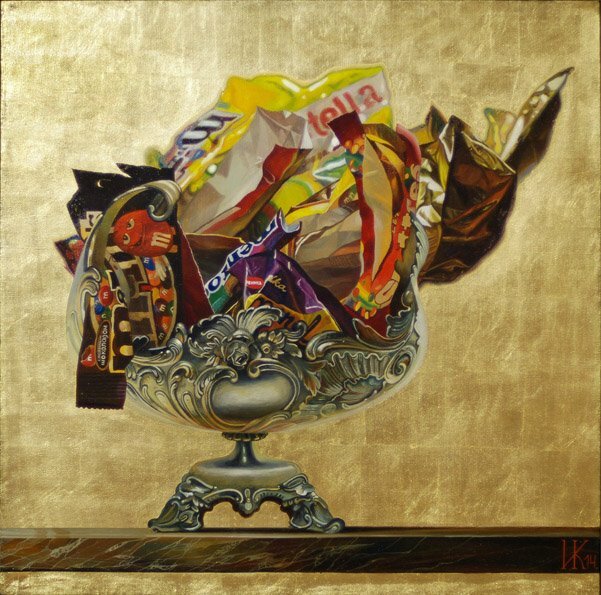 There is double meaning in the picture «Candy wrappers», which depicts an antique vase with a bunch of candy wrappers. For children it is a gamble in candy wrappers, and for adult the candy wrappers it is a tinsel of a false values, the depreciation of traditions. Where are the babies comes from? Of course, they are founds in cabbage. 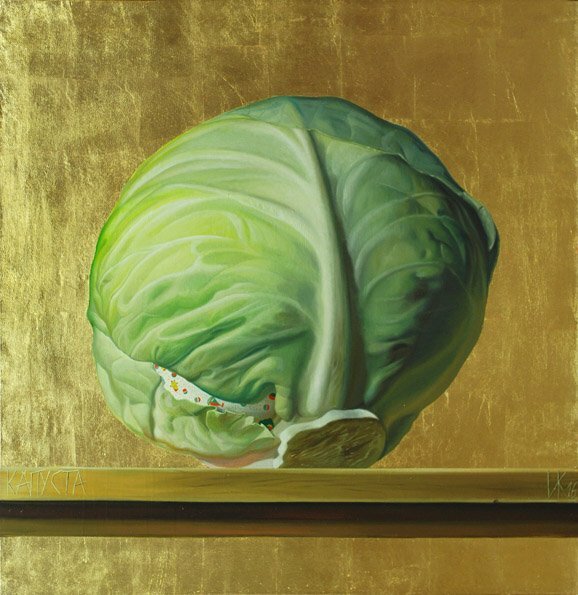 It is reported by a large head of cabbage with baby diaper inside, pictured on the front of gold background. Often we want to repeat or extend the happiest moments of our life, to implement the children's desires, experiencing the pure delight of a child. 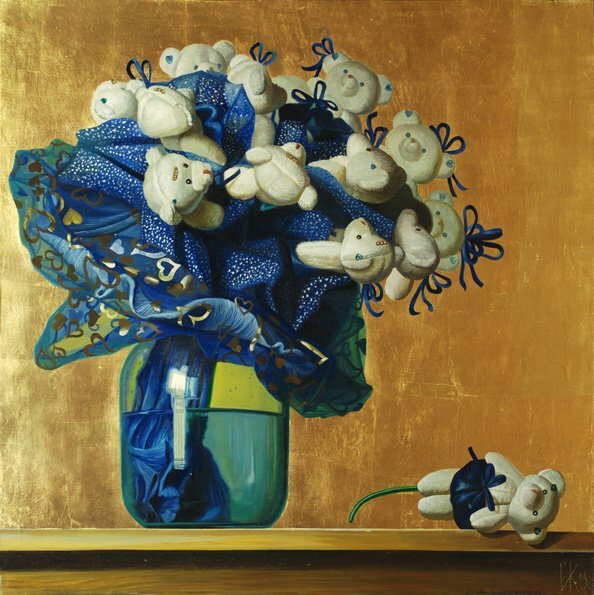 The bouquet of teddy bears in a jar of water («Bouquet»), symbolizes the absurdity, naivety of such desires. 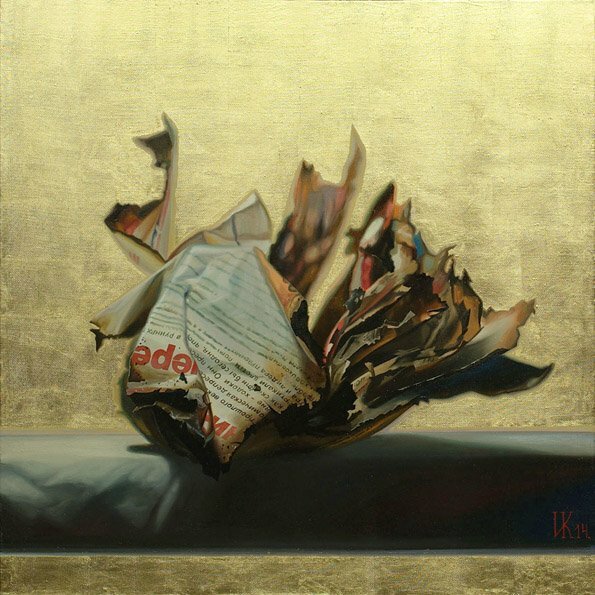 The composition with old newspapers («Hot News») it reminds us of the fast variability of life. What was very important yesterday, today turned into garbage. The ten new paintings by Ivan Korshunov again plunge us into the space of a magnificent painting. As before, the artist using the old three-layer painting technique. 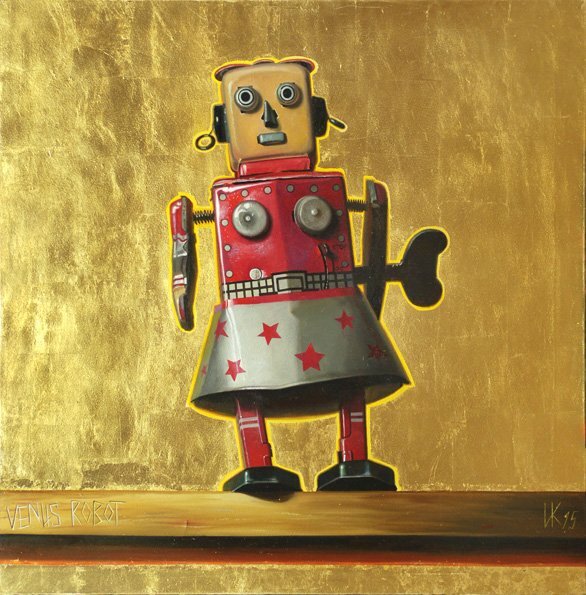 The author believes that this most organically combined with the philosophy of his works. And if it is not given to us to experience once again the joy of children, then we can get the pleasure of meeting with a beautiful.